My hay fever has gone bananas today. I have antihistamine tablets, but they knock me out for about three days if I take them, so I don't know which is worse. Vicious sneezing, eyeballs filled with ants or not being able to lift my arm without having to concentrate really really hard. It might sound funny, but it is like trudging through a meter of molasses while your brain is sieved and you can't put it back together again. Mr RS swears by a nasal spray but I haven't been brave enough yet. I imagine it would make the sniffing worse, hehe! I am surrounded by fields, trees and wild growth, even folding the washing brought in from the line can trigger an explosion of sneezes. Anyone else suffer? Any tips? 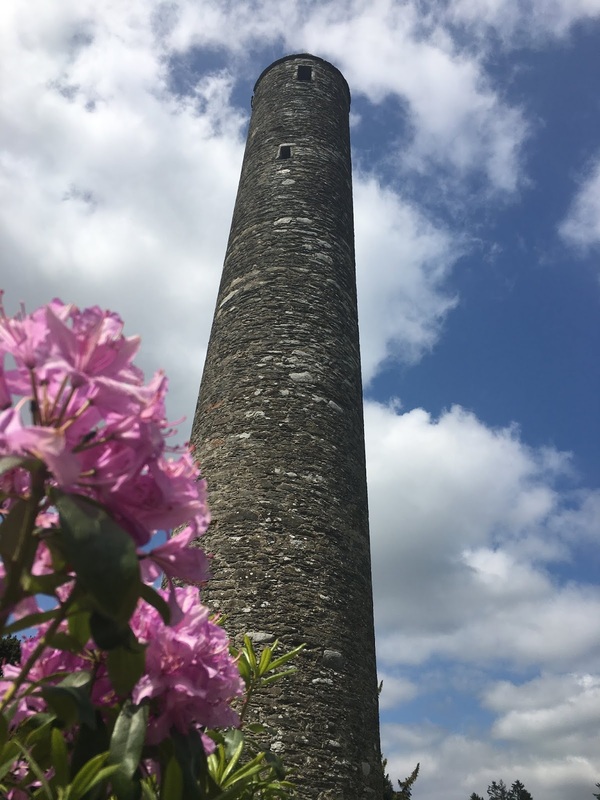 A little while ago we spent the weekend in Killiney in a lovely airbnb (our very first time using airbnb, I'm impressed it was a lovely house and it was perfect for our needs.) Mr RS was taking part in the Wicklow 200, a 200 km cycle around Wicklow, taking in some rather large hills and possibly a mountain as well. He finished without falling off or breaking anything, and was still able to walk (I wouldn't have been!) 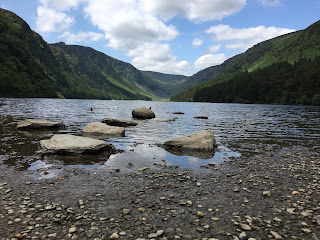 so we took a spin out to Glendalough to have a look since the weather was still nice. The last time I was there, I have no real memories of it, so I think I must have been very young. 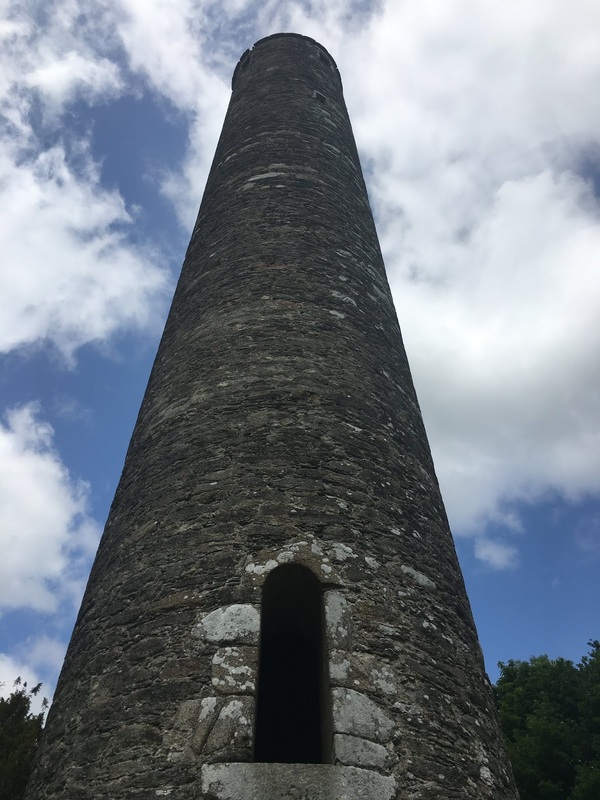 All I know is that we had a small ornament on a shelf in the kitchen, a bog oak round tower, just like the Glendalough one. 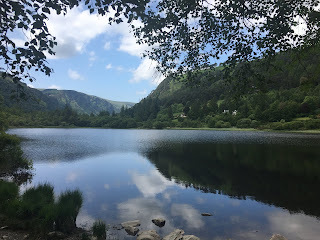 There are lots of lovely walks and treks around the two lakes (Gleann Dá Loch, meaning "Valley of two lakes") but as somebodies legs were a little tender, we did the gentlest one. The views are spectacular and it is a photographer's paradise. I can't wait to go back and bring the mini me's this time. I have finished a few small projects lately. 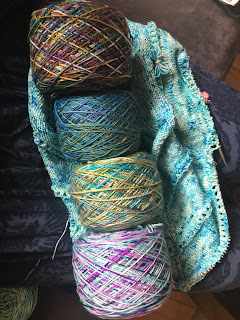 I don't know what it is, but I am gravitating towards projects with little commitment. 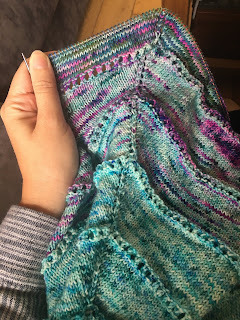 I do have a fine lace shawl started but I have made no progress with it at all, all I want to do is make small colourful things. 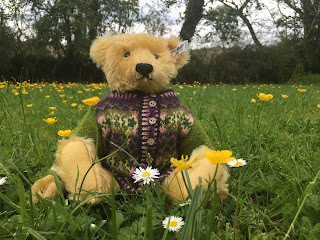 I won a vintage Steiff teddy bear on ebay recently and when the darling chap arrived in the post, I just knew that I wanted to make it a lovely jumper or cardigan. 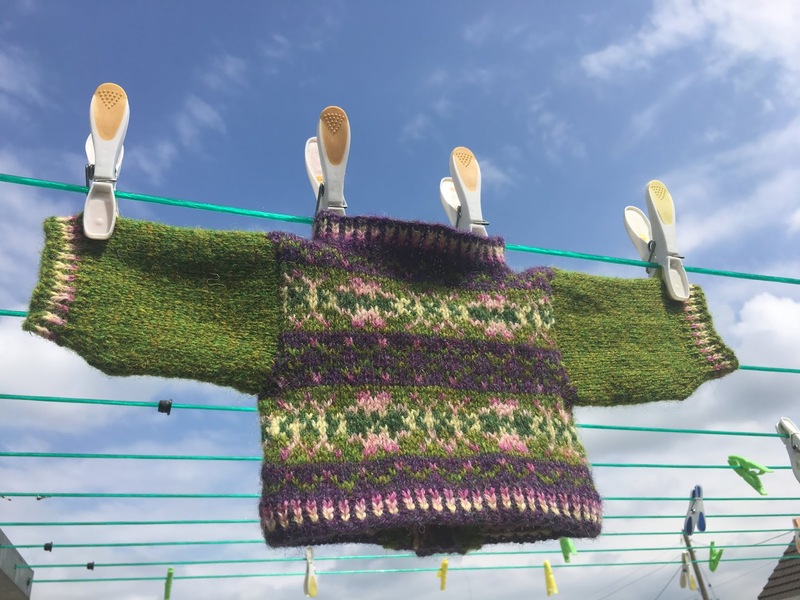 In fair isle. Of my own design. Sort of a taster if I was to make a grown up version. 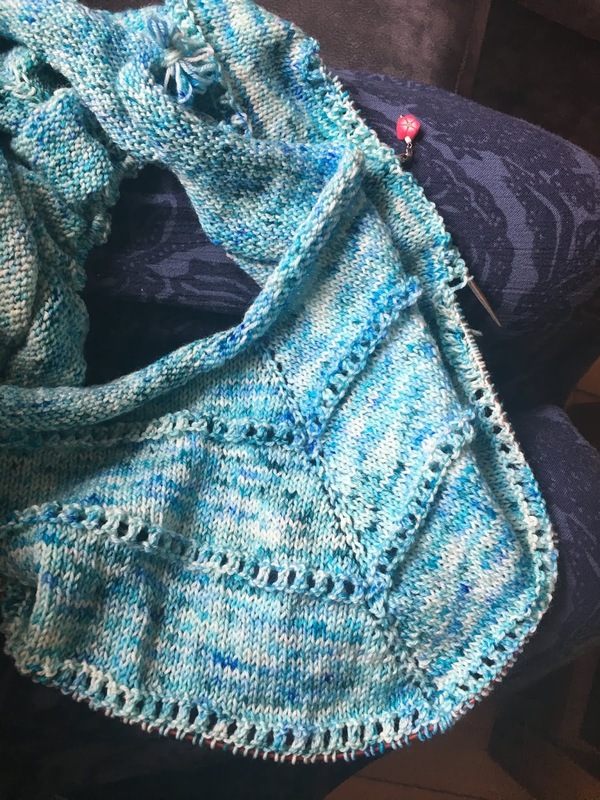 So the Summer Garden Cardigan was born! Isn't it delicious? The colours just all sort of jumped into my hands and demanded to be used. 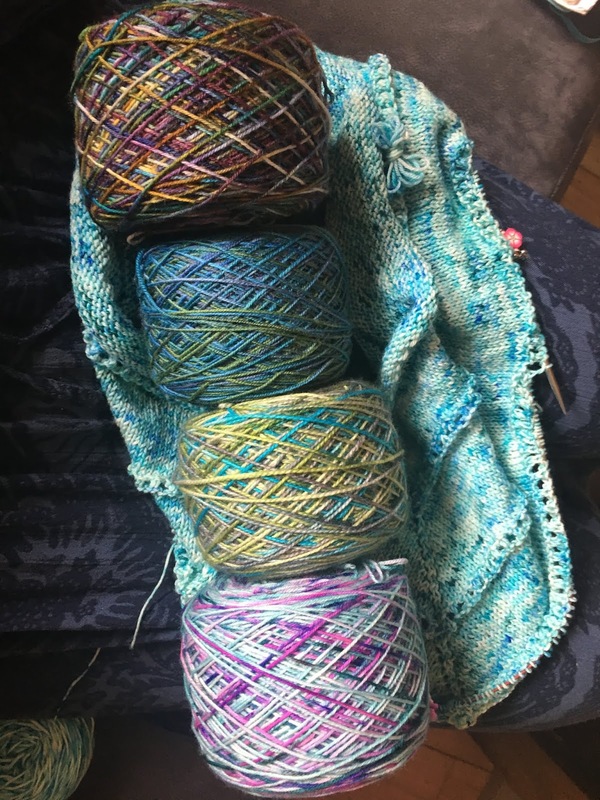 I think it is the prettiest combination I have ever put together. 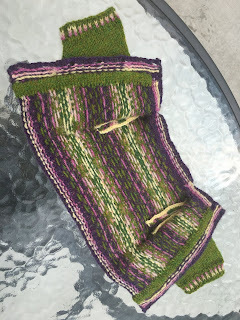 I knit the cardigan in the round, with steeks for the front opening and the sleeves. 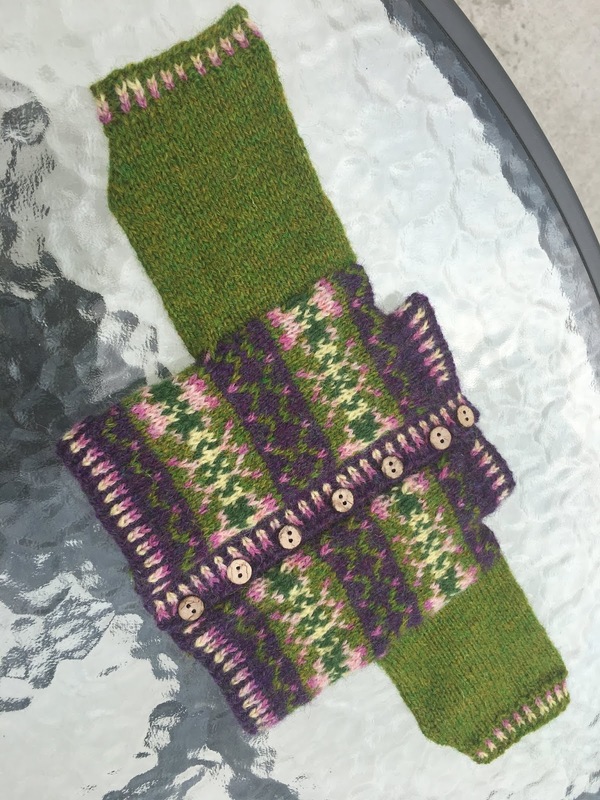 I grafted the shoulders together and knit the collar in corrugated rib, the same as the button bands. I knit the sleeves on from the body and decreased a little towards the cuff. All in all it was a quick, satisfying and adorable knit from start to finish. 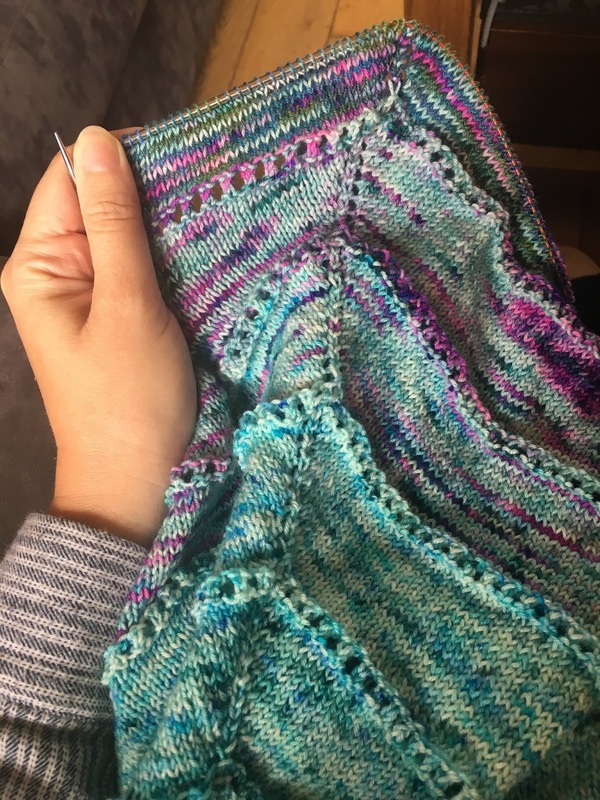 And the one thing I love about steeks on cardigans, is that there is no ends to sew in when you are finished from the colour changes. Win, win. So Beans (yes the bear is called Beans. I do have a larger version called Toast, and the kids thought it was only right if the smaller one had a matching name), is now the best dressed bear on the block. Another, slightly larger project that I'm working on, is my own design again, my Perseverance Poncho. 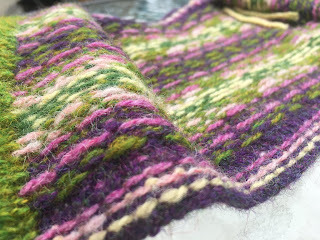 It's a simple top down poncho, knit in the round, and will use various sock yarn speckled colours fading into each other. So far I'm enjoying it, but worrying a little about my colour choices. I'm completely winging it. I was hoping to have it finished before the Summer holidays, but we'll see. I think I'm about halfway there.